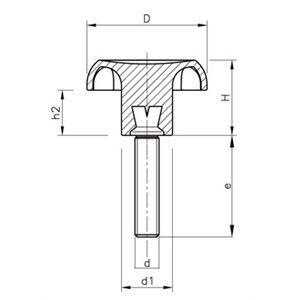 Request a quote for Thermoplastic 6 Lobe Knob - Studded today. 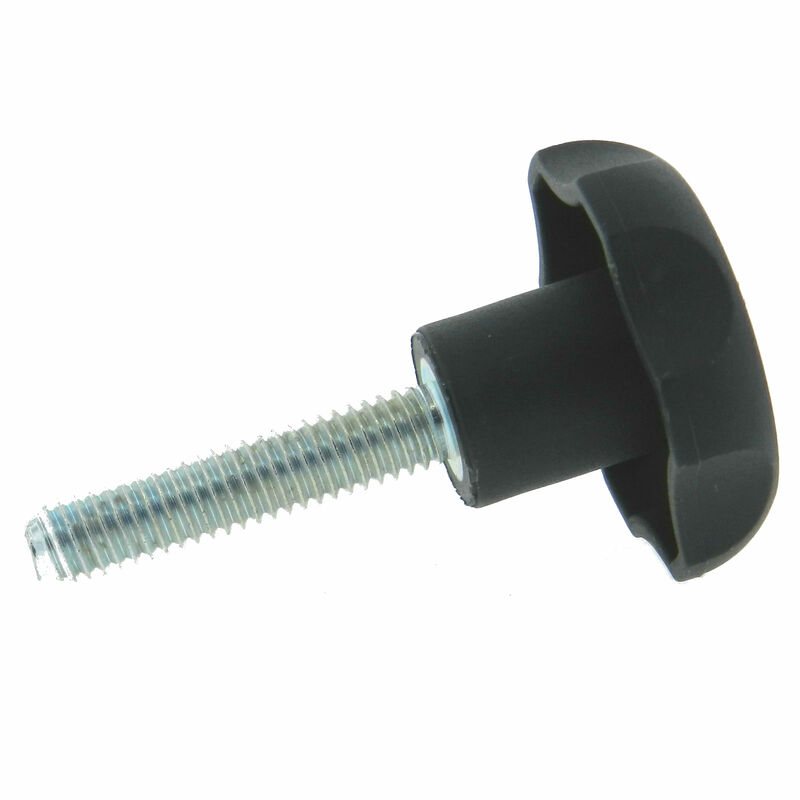 JBF National’s studded thermoplastic 6 lobe knob ensures maximum palm comfort and grip. 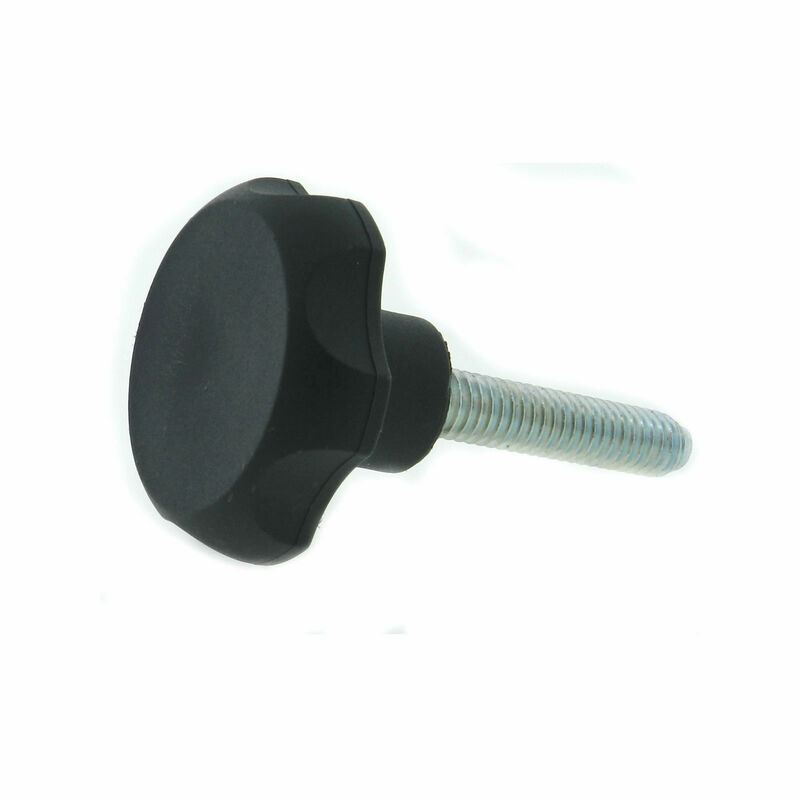 This hand knob (also known as a clamping knob) features a molded in zinc plated steel stud for added durability and corrosion resistance. 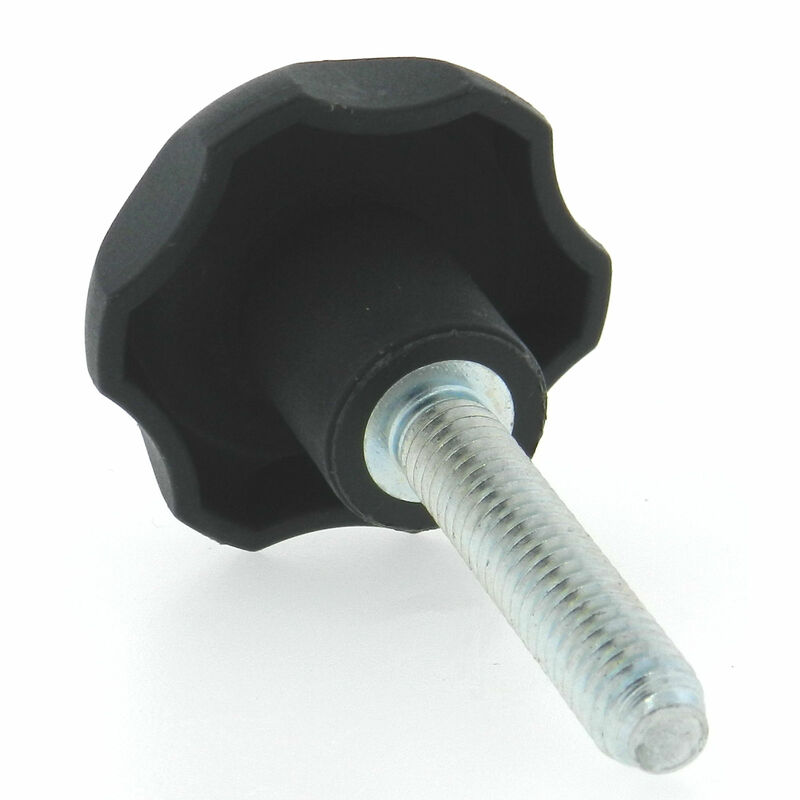 Black or Orange thermoplastic color options, and a variety of stud lengths are available. Please see component diagram below.